How do fireflies light up and why? What is a the life cycle of a firefly? Why are fireflies endangered and what can you do to help? What other animals are bioluminescent? Firefly.org – Find out why fireflies are disappearing and what you can do to help. Take a few minutes to find out some facts about fireflies and take a look around to see what other interesting things the site has to offer. Why? Tell Me Why? : Fireflies – VIDEO: After a brief commercial, learn why fireflies light up! About: Insects: Life Cycle of Fireflies and Lightning bugs – Site offers more detailed information about the life cycle of a firefly stage by stage. Back Yard Nature: Lightning Bugs – Find out: why fireflies light up, what they eat and the classification. Everything About: Fireflies – Find out how a firefly is able to light up. 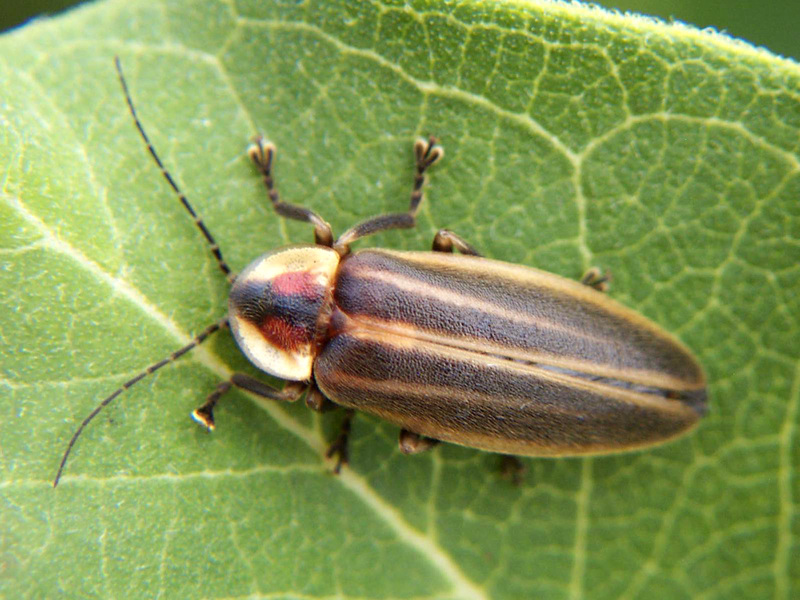 Enchanted Learning: Firefly/Lightning Bug – Site offers a very brief description about the insect and a labeled diagram of a firefly. Printable. How Stuff Works: Fireflies – Find out how fireflies glow, why they glow, where they can be found, how many types there are and what the flashes mean. National Geographic: Fireflies – Find out where fireflies live and how their young are born and survive. Wikipedia: Fireflies – Site offers scientific classification, general overview of animal, biology info: what they look like, life cycle, hibernation cycle and light and chemical production. Fran’s World of Discovery: Glowworms – Get information about about another bioluminescent insect. To do the experiment you will need: 2 glasses of water – 1 with ice, the other with hot water and 3 glowsticks. Watch this video to see how the experiment is done. Look for more Light Experiments on this site. Crayola: Follow the Firefly Lesson Plan – Create a book about fireflies. Site also offers a 3-D Firefly Craft idea. How Stuff Works: Firefly Activity – Offers an experiment to see how often a firefly lights up. Remember to release them as soon as the experiment is over. Living With Insects: Firefly Jokes – Site offers 5 firefly jokes. Apartmenttherapy: DIY Fireflies That Really Light Up – Cute firefly craft that repurposes plastic eggs. Create your own book or lapbook with the information you collect. I've always been fascinated by fireflies since I was little. Growing up in FL they are very rare but I would always catch them in a jar when we visited NC during the summer..lol. Thanks for the info & for linking up at the Geeky Educational Link Up! We are hoping to see some this year too, Jess! Thank you for providing a great link-up.